It’s time to celebrate! 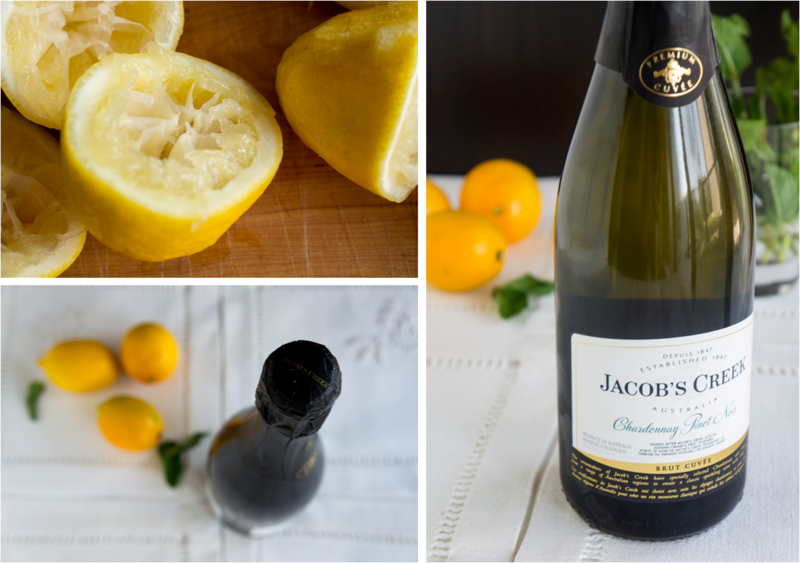 Pop open that champagne (or sparkling wine...)! Remember this post from earlier this year when I had my paper rejected? Well after several revisions, it has been accepted! Dessert is a good start in any celebration. Especially when it combines lemon sorbet and sparkling wine. 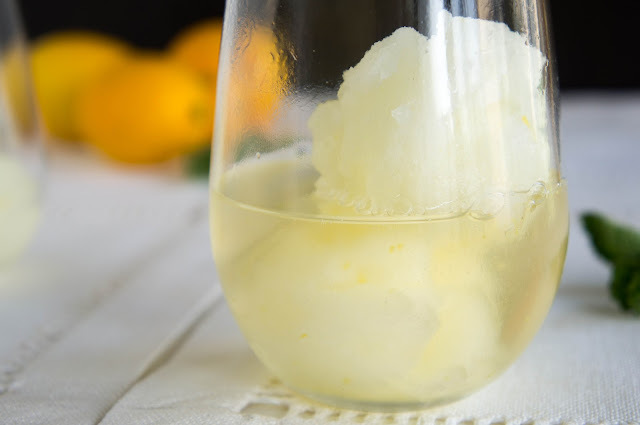 This lemon sorbet is ridiculously refreshing. Tart and sweet. 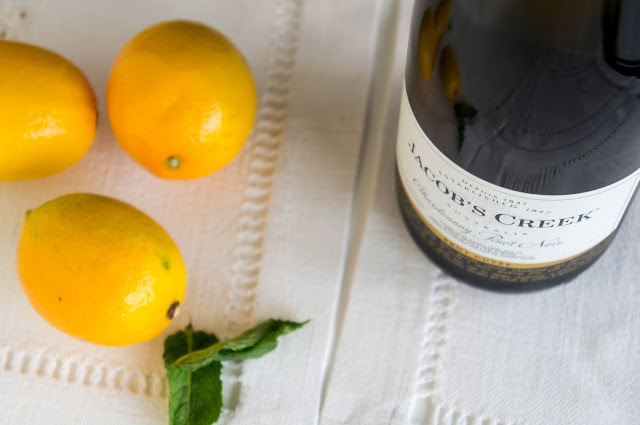 The bubbles from the sparkling wine elevate the taste to a whole new level. 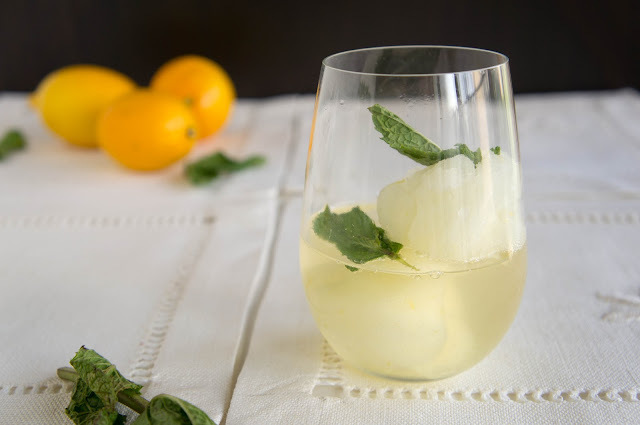 And if it melts, you’re left with a sparkling hard lemonade that’s still delicious. I’m going to try and keep this success with me for as long as I can. Too often successes just disappear into the midst of all the other challenges in our lives. But we should make an effort to remember. Remember when I said that all I wanted was for this paper to be accepted. Remember next time I feel like nothing ever shows from all my hard work. Remember every time a burst of bubbles and lemon hits my tongue. In medium saucepan, heat sugar with 1/2 cup water and lemon zest, stirring often, until sugar is dissolved. Remove from heat and add the remaining 2 cups water. Chill thoroughly (even overnight) in the refrigerator. 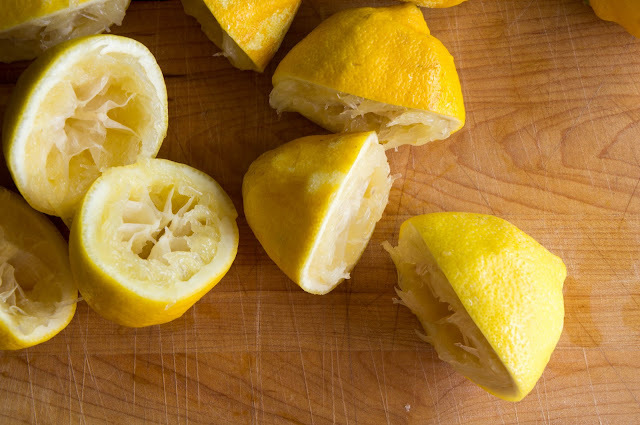 Stir lemon juice into the cold sugar syrup. Freeze in an ice cream maker. If you don’t have an ice cream maker, you can freeze the sorbet in a pan or container. Then break it up into chunks (it will be icy at this point) and blend in a blender until smooth. Re-freeze. Sorbet can freeze harder than ice cream, so taking it out 5 minutes before serving is usually a good idea to regain a good consistency. 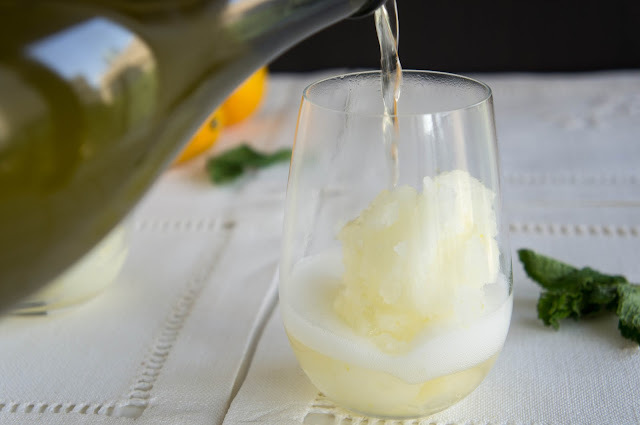 Scoop some sorbet into a vessel of your choice (I would have loved a coupe glass for this). 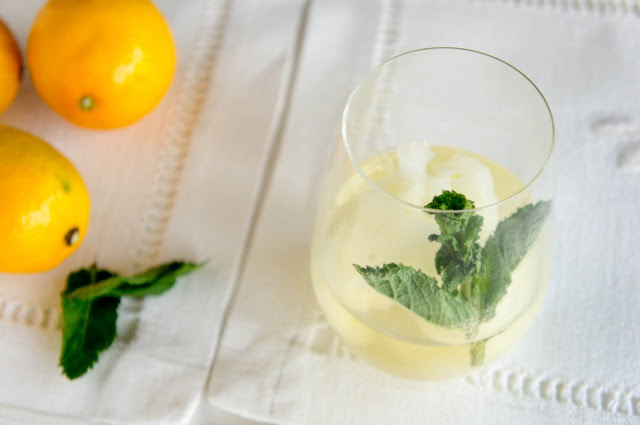 Top with sparkling wine and sprigs of fresh mint.